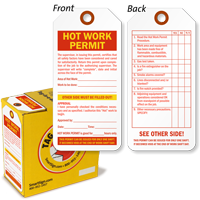 Issue hot work permit tags to authorized personnel and ensure that status of each safety step is recorded on the tag. 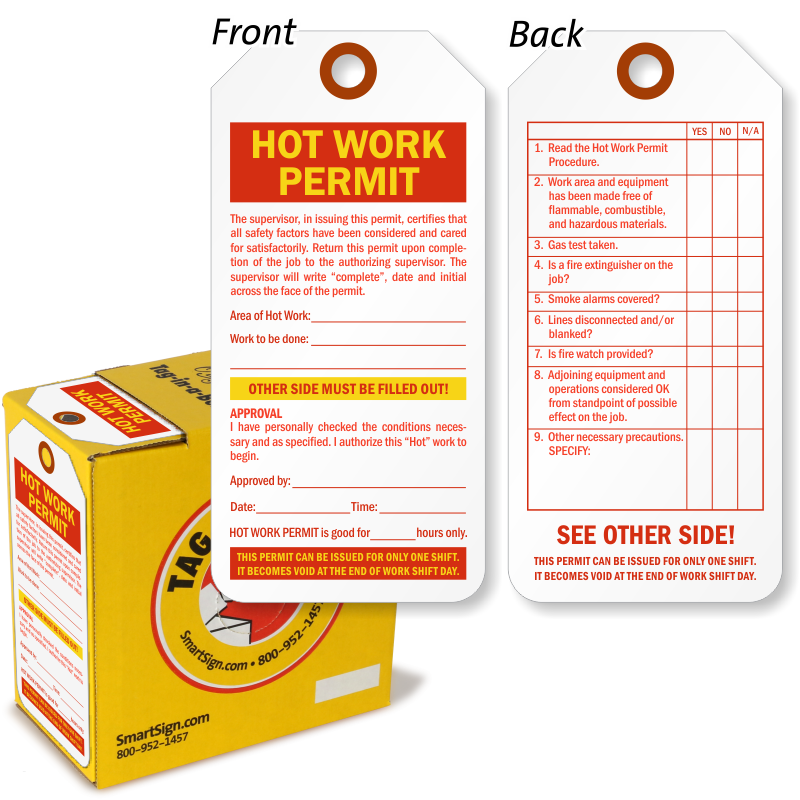 • Our unique Tag-on-a-Roll features a convenient and economical solution to your lockout needs. 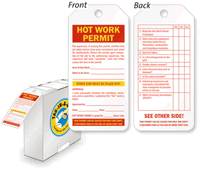 • These tags comply with OSHA 1910.147 code for a safe and compliant tag. 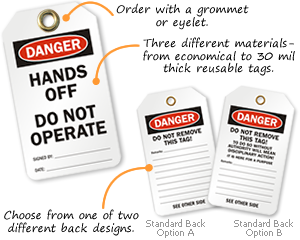 • Our most affordable tag is our most innovative - save time on quick tagging without undoing your tag roll. TAG IN A BOX IS GOOD STUFF! Good Price and GREAT SHIPPING! Item arrived on time, was exactly as shown. Thank you.